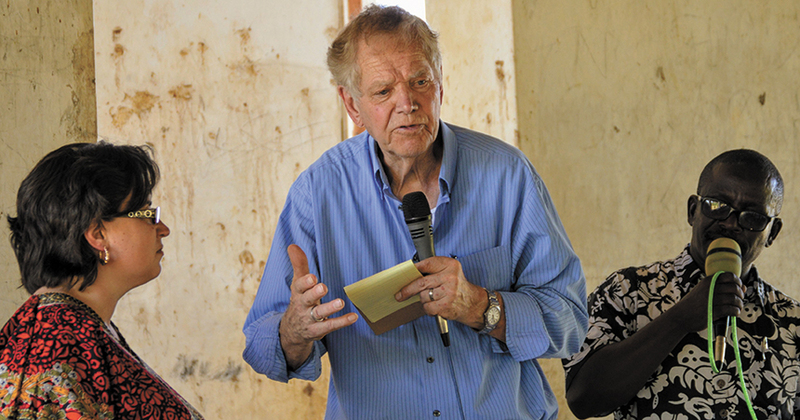 In mid-February, 50 Tanzanian Mennonite Church leaders, under the guidance of Palmer Becker, a Canadian Mennonite author and teacher, studied spiritual leadership, pastoral care and Anabaptist essentials using a translation of Becker’s book Begin Anew: Christian Discipleship Seminars. 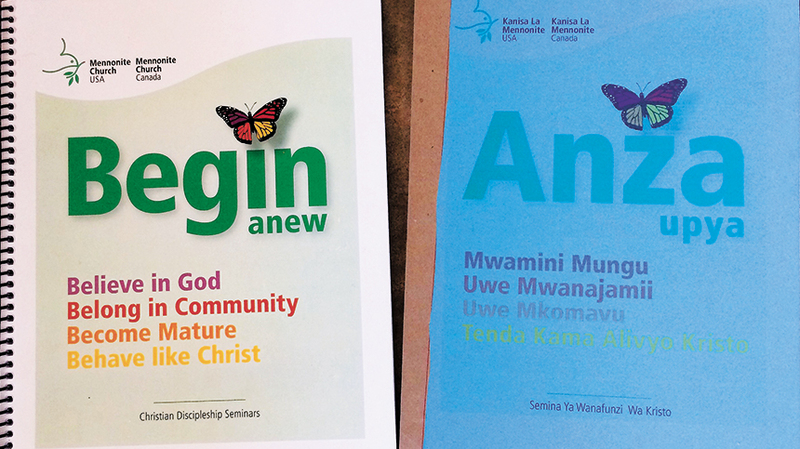 The training sessions were hosted by Bishop Chris Kateti of the Shirati Diocese of the Tanzanian Mennonite Church, who had organized the translation of Begin Anew and printed copies for the workshop participants, with the financial assistance of Eastern Mennonite Missions. Tanzanians primarily speak and write Swahili, meaning that for materials to be useful they must be translated. Kateti estimated that about half of the pastoral couples in the diocese attended. Participants walked, bicycled or took public transportation to the workshop that began on Feb. 14. As in other dioceses, Shirati typically hosts training for pastors and spouses twice a year, although many do not have the international component that this one did. In July 2017, Kateti, a newly ordained bishop, along with three other Tanzanian Mennonite Church leaders, participated in the Mennonite Church U.S.A. convention in Orlando, Fla., where he met Becker. The Tanzanian Mennonite leader and the Canadian Mennonite pastor, author and teacher had already been in communication about translating Begin Anew into Swahili. Impressed with Becker’s credentials, Kateti invited him to Shirati to present his materials to Tanzanian church leaders. Kateti said he wanted to build the capacity of “my team,” meaning the pastors, deacons and spouses in his diocese, to become strong leaders and to provide pastoral care. For participants, the workshop gave not only an opportunity to learn and study, but also to praise and worship each evening, to meet and interact with church leaders living in the area, and to relax and rejuvenate in the welcoming atmosphere of the diocesan headquarters—a one-storey building around a grassy courtyard shaded by an enormous fig tree—that comprised church offices, dining hall and amenities. Pastor Jakob Okeno, in his 60s, is responsible for a jimbo (church district) comprising five churches. Speaking through an interpreter, he described how, following a career teaching at the elementary-school level, he became a church leader: first an elder, then a deacon, and finally a pastor. He credited pastoral training like this one with giving him the tools to live with others peacefully and with knowing how to coach church members. Also speaking through an interpreter, Beddina Okeno, Okeno’s wife, described her role as an advisor to her husband and, in addition, as hostess to church workers. 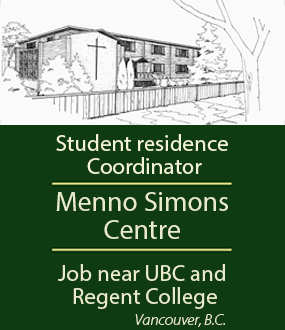 “When visitors come to our house, I give them hospitality until they have finished their ministry,” she said. She described doing evangelism “close by.” She explained that, while her husband travels throughout the jimbo, she, as the homemaker, relates to people in the vicinity of their home. The diocese recognizes the tension this travel may have on the relationship between an itinerant pastor—almost always the husband—and spouse. Therefore, the spouse is recognized as an equal partner in ministry. Response to the 2014 publication was so positive that it has been translated into several languages, and Becker has presented the materials in seminars in China and Ethiopia, among other countries. He initially decided to give four years of time to developing and introducing the materials. Now, over 80 years of age, he continues to be committed to this project.